If you’ve got thrush on your throat, tongue and roof of the mouth, you’ve probably got a bad case of the infection, and you need to consult your doctor as soon as possible – esophageal candidiasis is a common sign of AIDS. However, you may get thrush on your throat even if you don’t have AIDS. Oral thrush in diabetic patients may spread to the throat, if left untreated. Depending on the severity of your infection, you’ll need to follow different treatments. Read on to find out more about esophageal thrush and how to treat it. This type of candida is no stranger to the human body – the vast majority of people either carry it right now, or are going to carry it at some point in their lives. 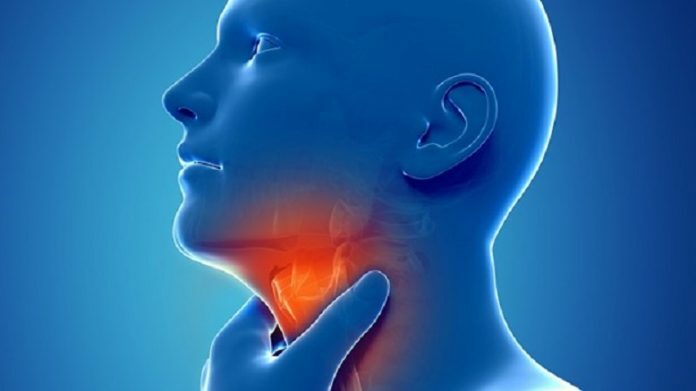 What are the symptoms of esophageal thrush? The most common symptoms of esophageal thrush are difficulty or pain swallowing, and the sensation that food gets stuck in your throat. You may also notice oral thrush symptoms. The typical treatment for esophageal thrush is fluconazole or itraconazole, which are both usually found in the form of pills. The typical length of such treatment is 2-3 weeks. Alternatively, if there’s a possibility of interaction between fluconazole and other medication, you may be prescribed echinocandins such as caspofungin, micafungin, or anidulafungin, which are typically taken intravenously. Don’t neglect thrush on your throat – chances are you won’t anyways, since it’s likely you won’t be able to eat properly – as it may be the sign of a more serious condition. Consult your doctor as soon as possible and take the treatment exactly as prescribe. Also, remember to eat properly, since candida thrives on sugars and yeast.